-the original creation has an automatic right, the copyright, by the mere fact of its existence (if the work is original, the author’s copyright is born on the creation, with no formality). 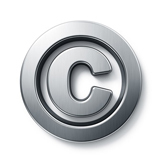 -The copyright is recognised by the Berne Convention in 164 countries. If the filing party has this right in one of the signatory countries, he will systematically have it in any of the other countries, so he can assert that right. Especially in the case his work is copied. -Consequently, beyond the theoretical aspect of the copyright, there is practice: filing is used to PROVE the right by means of an unchallengeable registration that enables the author to create a probative link between his creation and the date of creation. This is called proof of anteriority, which is essential for asserting the author’s rights, in particular.